The different forms of autism overlap considerably, and there is wide variation in symptoms among children with autism that led to the concept of autism spectrum disorder. Autism seems to be on the rise, and autism spectrum disorders affect between two and six children out of every 1,000 in the U.S. It’s unclear, though, whether the growing incidence of autism represents a real increase or just improved detection. Early diagnosis of an autism spectrum disorder is important. That’s because detection leads to treatment, and with early treatment, a child with autism can gain improved language and social skills. Early intervention is crucial. Each child with an autism spectrum disorder will have his or her own individual pattern of autism. Sometimes, a child’s development is delayed from birth. Other children with autism develop normally before suddenly losing social or language skills. In some children, a loss of language is the impairment. In others, unusual behaviors (like spending hours lining up toys) predominate. Parents are usually the first to notice something is wrong. However, the diagnosis of autism is often delayed. The parents or a physician often downplay early signs of autism. They may optimistically suggest that “it’s just a phase” or a trivial delay in development. Children with a suspected autism spectrum disorder should be evaluated by a professional team with experience in diagnosing autism. 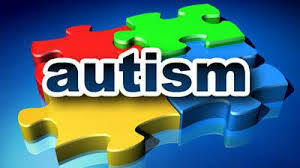 The mildest form of autism, Asperger’s syndrome affects boys three times more often than girls. Children with Asperger’s syndrome become obsessively interested in a single object or topic. They often learn all about their preferred subject, and discuss it nonstop. Their social skills are markedly impaired, though. They are often awkward and uncoordinated physically. Because Asperger’s syndrome is mild compared to other autism spectrum disorders, some doctors call it “high-functioning autism.” As children with Asperger’s syndrome enter young adulthood, though, they are at high risk for anxiety and depression. This diagnosis applies to most children with autistic spectrum disorder. Children whose autism is more severe than Asperger’s syndrome but not as severe as autistic disorder are diagnosed with PDD-NOS. However, no two children with PDD-NOS are exactly alike in their symptoms. In fact, there are no agreed-upon criteria for diagnosing PDD-NOS. In effect, if a child seems autistic to professional evaluators, but doesn’t meet all the criteria for autistic disorder, he or she has PDD-NOS. Children who meet more rigid criteria for a diagnosis of autism have autistic disorder. They have more severe impairments involving social and language functioning, as well as repetitive behaviors. Often, they have mental retardation and seizures as well. There are two rare, severe forms of autistic spectrum disorder that are considered separately from the others: Rett Syndrome and childhood disintegrative disorder. Almost exclusively affecting girls, Rett syndrome is rare. About one in 10,000 to 15,000 girls develop this severe form of autism. Between 6 and 18 months of age, the child stops responding socially, wrings her hands habitually, and loses language skills. Coordination problems appear and can become severe. Rett syndrome is usually caused by a genetic mutation. The mutation usually occurs randomly, rather than being inherited. Treatment focuses on physical therapy and speech therapy to improve function. The most severe autistic spectrum disorder, childhood disintegrative disorder (CDD), is also the least common. After a period of normal development, usually between age 2 and 4, a child with CDD rapidly loses multiple areas of function. Social and language skills are lost, as well as intellectual abilities. Often, the child develops a seizure disorder. Children with childhood disintegrative disorder are severely impaired and don’t recover their lost function. Emotional difficulties – Children with autism spectrum disorders may have difficulty regulating their emotions or expressing them appropriately. For instance, your child may start to yell, cry, or laugh hysterically for no apparent reason. When stressed, he or she may exhibit disruptive or even aggressive behavior (breaking things, hitting others, or harming him or herself). Autistic kids may be unfazed by real dangers like moving vehicles or heights, yet be terrified of harmless objects such as a stuffed animal. Uneven cognitive abilities – The autism spectrum disorders occur at all intelligence levels. However, even kids with normal to high intelligence often have unevenly developed cognitive skills. Not surprisingly, verbal skills tend to be weaker than nonverbal skills. In addition, children with Autism spectrum disorders typically do well on tasks involving immediate memory or visual skills, while tasks involving symbolic or abstract thinking are more difficult. Savant skills in autism spectrum disorders – Approximately 10% of people with autism spectrum disorders have special “savant” skills, such as Dustin Hoffman portrayed in the film Rain Man. The most common savant skills involve mathematical calculations, artistic and musical abilities, and feats of memory. The road to an autism diagnosis can be difficult and time-consuming. In fact, it is often 2 to 3 years after the first symptoms of autism are recognized before an official diagnosis is made. This is due in large part to concerns about labeling or incorrectly diagnosing the child. However, an autism diagnosis can also be delayed if the doctor doesn’t take a parent’s concerns seriously or if the family isn’t referred to health care professionals who specialize in developmental disorders. Each child or adult with autism is unique, and so each autism intervention plan should be tailored to address specific needs. Intervention can involve behavioral treatments, medicines or both. Many persons with autism have additional medical conditions such as sleep disturbance, seizures and gastrointestinal (GI) distress. Addressing these conditions can improve attention, learning and related behaviors. Typically, different interventions and supports become appropriate as a child develops and acquires social and learning skills. As children with autism enter school, for example, they may benefit from targeted social skills training and specialized approaches to teaching. Adolescents with autism can benefit from transition services that promote a successful maturation into independence and employment opportunities of adulthood. There are two methods of comprehensive behavioral early intervention. They are the Lovaas Model based on Applied Behavior Analysis (ABA) and the Early Start Denver Model. Other successful behavioral therapies include Floortime, Pivotal Response Therapy and Verbal Behavior Therapy. The child receives structured, therapeutic activities for at least 25 hours per week. Highly trained therapists and/or teachers deliver the intervention. Well-trained paraprofessionals may assist with the intervention under the supervision of an experienced professional with expertise in autism therapy. The therapy is guided by specific and well-defined learning objectives, and the child’s progress in meeting these objectives is regularly evaluated and recorded. The intervention focuses on the core areas affected by autism. These include social skills, language and communication, imitation, play skills, daily living and motor skills. The program provides the child with opportunities to interact with typically developing peers. The program actively engages parents in the intervention, both in decision making and the delivery of treatment. The therapists make clear their respect for the unique needs, values and perspectives of the child and his or her family. The program involves a multidisciplinary team that includes, as needed, a physician, speech-language pathologist and occupational therapist. Do Children or Adults Diagnosed with Autism Ever Move Off “the Spectrum”? A small minority of persons with autism progress to the point where they no longer meet the criteria for a diagnosis of autism spectrum disorder (ASD). Some of the reason include the possibility of an initial misdiagnosis, the possibility that some children mature out of certain forms of autism and the possibility that successful treatment can, in some instances, produce outcomes that no longer meet the criteria for an autism diagnosis. You may also hear about children diagnosed with autism who reach “best outcome” status. This means they have scored within normal ranges on tests for IQ, language, adaptive functioning, school placement and personality, but still have mild symptoms on some personality and diagnostic tests. Many people with autism go on to live independent and fulfilling lives, and that all deserve the opportunity to work productively, develop meaningful and fulfilling relationships and enjoy life. With better interventions and supports available, those affected by autism are having better outcomes in all spheres of life. Autism diet, nutrition and supplementation are fundamental to the health and healing of children with autism. Diets and other autism-specific nutrition essentials are applied as a complement to physician recommended medical treatments, behavioral and cognitive therapies. The most successful recovery stories include diet intervention and improvements in nutrition intake. There are five main diets to consider when researching this area of science: Gluten-free Casein-free (GFCF), Specific Carbohydrate Diet (SCD), Feingold Diet, Body Ecology Diet, Low Oxalate Diet/Phenols and Weston A. Price. This is the typical place to begin when initiating nutritional intervention for autism. This diet entails the removal of all gluten and casein containing foods from the foods you feed your child. Gluten is the protein found in wheat, rye, barley, spelt, kamut, and commercial oats. Gluten can be found in bread, crackers, pasta, cereal, packaged foods, baked goods, and many other foods. Casein is the protein found in milk which is used in dairy products such whole and reduced fat milk, cheese, cream, butter, ice cream, yogurt, cottage cheese, sour cream, powdered milk additives in food, and more. When ingested by children with a compromised digestive tract, like many children that have autism, gluten and casein proteins can cause gut inflammation, pain, and digestive problems. The properties of gluten and casein can lead to digestive problems such as diarrhea, constipation, gas, bloating, as well as foggy thinking and inattentiveness for many children with autism. Physical symptoms and behaviors associated with autism decrease on the GFCF Diet. A gluten-free and casein-free trial period is often recommended for children with autism upon diagnosis by autism physicians practiced in biomedical (whole body) approaches. Begin the GFCF Diet by removing casein first and then gluten from the foods prepared for snacks and meals. Most of the foods containing these offending gluten and casein proteins are easy to identify. Some gluten and casein sources can be sneaky, as some foods contain offending ingredients that are not apparent when reading a label – such as soy sauce and malt (barley). Some products, like potato chips and fries, are often dusted with wheat flour (gluten) during processing. This information is not listed on the product label but can be verified with the product manufacturer. It’s important to follow an autism diet strictly – infractions can inhibit or mask progress. This diet is very helpful for those who have inflammatory bowel conditions and chronic diarrhea. It can also help to alleviate constipation in some children. This diet involves the removal of all complex sugars and starches, with the exception of honey and fruit sugar. When putting this diet strategy into place, parents remove maple syrup, cane sugar, agave nectar, brown rice syrup and other sources of sugars from snacks and meals. Foods containing these ingredients often include baked goods, candy, jelly fruit snacks, granola bars, juices, fruit punch style drinks, ice cream, ketchup, soda, chocolate milk, salad dressings and sauces, cereal and other pre-packaged and freezer foods that contain sugar in their ingredient list. SCD also removes all starches and all grains, including potatoes and sweet potatoes. The goal of the Specific Carbohydrate Diet is to reduce gut inflammation and aid healing by “starving out” bad gut bugs and avoiding foods that require carbohydrate digesting enzymes. Children with autism frequently lack these enzymes and have digestive systems that are attacked by pathogenic bacteria such as clostridia; they often need specific nutrition and diet support. By eliminating problematic foods, the bugs cannot continue to feed, and they die out. 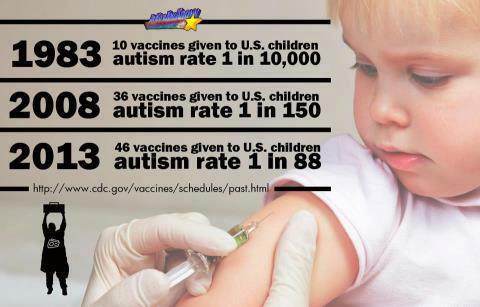 As these bacteria are eliminated from the body and their enzyme function improve, children with autism experience healing. They feel better and some autism symptoms are alleviated. As you implement the SCD, cook meals for your children and family that are centered around meat, fish, eggs, nuts and seeds, certain beans, all non-starchy vegetables, and fruit. Introduce honey and fruit sugar to your recipes and meal preparation. This diet is not a low carbohydrate diet but a specific carbohydrate diet that focuses on non-starchy vegetables, fruit, honey, and certain beans for carbohydrates and avoids other sugars and starches. The Feingold Diet removes phenols and salicylates. Artificial ingredients such as artificial coloring, artificial flavoring, aspartame, and artificial preservatives such as BHA, BHT, TBHQ are made from a petroleum base and are strong phenols. Salicylates are naturally occurring phenols in plants – particularly in many fruits such as apples and grapes. For some children, their bodies have difficulty processing phenols. Build up of phenols in the system can affect behavior and the body’s physical condition. Phenols can have negative effect on the brain when our chemistry can’t processes these phenols and they build up in the body. Although phenols and salicylates do occur naturally in healthy foods, children who are sensitive to these chemicals can have significant reactions. Many children with autism, ADHD and other neurological and immune system disorders commonly have faulty sulfation systems and cannot process phenols and salicylates well. Common physical signs of phenol sensitivity in children include dark circles under eyes, red cheeks/ears, ear infections, asthma, sinus problems, diarrhea, hyperactivity, impulsivity, aggression, headache, head banging/self-injury, impatience, short attention span, difficulty falling asleep, night walking for several hours, inappropriate laughter, hives, stomach aches, bed wetting and day wetting, dyslexia, sensitivity to noise/lights/touch, speech difficulties, tics and some forms of seizures. When implementing the Feingold Diet, avoid phenols and salicylates that are not tolerated – typically determined through food trial/testing. These substances and foods may include: FD&C colors (dyes), artificial flavors, preservatives, vanillin, aspirin, almonds, peanuts, oranges, apples, apricots, all berries, cherries, chili powder, cider and cider vinegar, cocoa, cloves, coffee, cucumbers, pickles, currants, red grapes, raisins, plums, prunes tangerines, tea, tomatoes, wine and wine vinegar and oil of wintergreen. The low oxalate diet consists of consuming a diet low in oxalates. Oxalates are sharp crystals and are the same ones responsible for certain forms of kidney stones. Oxalate crystals can be inflammatory and damaging to a child’s delicate biochemistry and the low oxalate diet reduces these compounds. In cells, oxalates can lead to oxidative damage, depletion of glutathione, pain associated with urination, and inflammation related to the immune system. Glutathione is important for immune function, inflammatory regulation, detoxification, and antioxidant status. Levels of glutathione are often low in children with autism; therefore oxalates could exacerbate challenges for some of these children. Normally, a healthy digestive system will not absorb too many oxalates that are found in various foods in a child’s diet. Oxalates pass through the digestive tract and they are metabolized by the good bacteria in the gut or bind to calcium and are excreted in the stool. When the digestive system of a child with autism is diagnosed as leaky, oxalates are absorbed and high levels end up in the blood, urine, and tissues – specifically damaging tissue. A parent cooking for a low oxalate diet will typically limit and/or omit the following from a child’s snacks and meals: spinach, broccoli, brussel sprouts, sweet potato, spinach, beans kiwi, strawberries, oranges, kidney beans, cinnamon, chocolate, red raspberries, blackberries, blueberries, tomato, almonds, cashews, pecans, peanuts, beets, carrots, carob, cocoa powder, flour, potato, stevia, soy beans, pasta, blue cheese, red cabbage, butternut squash, purple grape juice, grapefruit, garlic, havarti cheese, oatmeal, graham crackers and more. If a child’s pediatrician has performed yeast tests and they have come back positive, many parents consider implementing the Body Ecology Diet along with physician recommended yeast removal treatments. When there is a systemic yeast diagnosis, it’s important for parents to know that they are not alone. Many children with autism have problems with yeast growth in their systems and help for this condition is well within reach. Yeast is known as a “bad gut bug”. In order to combat these bad gut bugs that cause children to experience lethargy, spaciness, inappropriate laughter, insomnia, constipation, diarrhea, joint/muscle pain, and poor memory some parents implement the Body Ecology Diet. It provides the child with autism with a system of healing that establishes and nourishes the growth of beneficial bacteria and balances the digestive tract. This diet is designed to help your child cultivate, nourish, cleanse and repair their impaired inner ecosystem. It is very important for parents of children autism understand that their digestive system is intimately linked to the immune, endocrine, circulatory, and central nervous system. Animal foods and fats such as eggs, butter and dairy, beef and other animal protein, that are all pasture-raised or grass-fed, and additional saturated fats such as coconut oil. A belief that saturated fat and cholesterol are good for health. This entry was posted in Ailments Diseases and Disorders - Natural Treatments. Bookmark the permalink.